At what point does caring about mankind mean enough to you to at least question the propaganda you have been fed over and over? The subject of 9/11 is horrifying on so many levels. Eleven years later, much more is known about one of the worst events in American history. The mainstream media has grossly neglected critical forensic evidence that contradicts the 9/11 Commission Report's explanation of events. Instead, it has deliberately embarked on a campaign to characterize those who question the official explanation(s) of 9/11 as conspiracy theorists, extremists, or unpatriotic, labeling such skeptics as "Truthers." Well, this editor has been called worse. The sparse coverage of so much compelling forensic evidence that has emerged over the past decade, and that no rational person could or should ignore, is a severe indictment of the mainstream media cartel's intention to censor need-to-know information, deliberately misinforming Americans. There are dozens of books, documentaries, and videos examining the events of 9/11 from all manner of perspectives you have never heard from your local/national TV or radio stations; from architects to engineers to pilots to rescue workers to demolition experts, the list is exhaustive. Meanwhile, since 9/11, America persists in a perpetual state of war abroad while most of us fecklessly watch our personal freedoms systemically destroyed at home ... all in the name of false security, such as the security theatre of TSA. Below is a just a small portion of the compelling and frightening evidence found in the documentaries listed at the end of this article that I implore you to watch yourself. 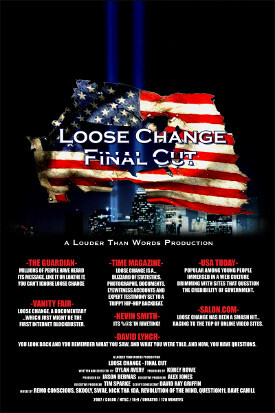 At a minimum, show your support for the victims' families who are pleading for a re-opening of an investigation of 9/11 by opening your mind and watching at least one of these documentaries. Jet fuel burns no hotter than 1,200 degrees. Consequently, the fires caused by the plane crashes could not possibly burn hot enough to melt the core steel structure of each floor, let alone to collapse the entire building(s). This dispels the official story that the steel trusses' joints melted from jet-fuel fires, "pancaking" the floors on top of one another - leaving completely ignored the question of what then happened to the 47-beam grid in the center of both towers. Molten steel girders were found in the debris at Ground Zero. The damage to the steel itself was notable - deformed, twisted, but curiously not cracked. The only substance capable of creating the heat necessary to cause this kind of damage to steel is Thermite, which must first be detonated. Residue from nearby buildings that were in the path of the huge smoke/debris plumes created when the buildings collapsed was extensively tested, revealing that Thermite was abundantly present in the dust that covered Ground Zero and its surrounding blocks. Film footage of the collapse of the twin towers, when played in slow motion, reveals a pattern of explosive bursts, called "squibs," preceding many of the floors' collapse as the buildings dropped straight down. This is precisely what occurs in planned building demolitions. The majority of the world's structural, mechanical, metallurgical, and chemical engineers, architects, and demolition experts agree that nothing but a planned demolition using strategically placed explosives could mimic the perfect straight-down free-fall that characterized the collapse of both towers. More important, planned demolitions require extensive analysis of the structure, and therefore must be planned months in advance. When interviewed, countless witnesses - many of them survivors from the towers, including firefighters - claimed they heard and/or saw secondary explosions after the plane crashes. Some heard explosions in the basements of the buildings, some in the lobbies, others on various floors as they were escaping to safety. So many individual reports of explosions (including live news reports on-site), each independent of one another, were summarily removed from the media's coverage after 9/11. The security company for the towers was Securacom, then operated by President George W. Bush's brother Marvin. A brand-new security system was installed just two weeks prior to 9/11, leaving security cameras inoperable throughout the buildings during that time, and access by large trucks was given between 3 and 5 a.m. the weekend before the 9/11 attacks, reported CIA asset and whistle-blower Susan Lindaur. Not a single body or body fragment, piece of luggage, or identifiable piece of the plane - including the fuselage, engines, wheels, wings, and seats - belonging to American Airlines Flight 77 was found at the Pentagon crash site. The official story claims that the fire from the crash "disintegrated" the plane, along with everyone and everything in it. Twenty minutes after the crash, the roof collapsed above the crash site, revealing all the floors, computers, desks, etc. completely intact around the plane's point of impact. Yet the 8,600 gallons of remaining jet fuel should have reduced the impact site to rubble, but there was very little heat or smoke damage to the structure adjacent to the impact site. Various eyewitnesses claim it was a smaller aircraft that crashed into the Pentagon than the reported American Airlines Boeing 757. (Eyewitnesses who saw the second plane crash into the second World Trade Center tower made similar claims, saying it was gray in color with no windows or markings.) There were security cameras all around the impact site and throughout the Pentagon that could help confirm or deny such reports, but all cameras were immediately confiscated, and the FBI has only released five frames from a single camera's footage of that day. However, the date stamp on each frame is incorrect, showing 9/12/2001 at 17:37:19. There is no sign of an actual plane in these frames, only the explosions and fire created upon impact. A Boeing 757 is nearly 125 feet from wingtip to wingtip, more than 155 feet from nose to tail, and almost 45 feet from the ground to the top of the tail. However, the actual hole in the Pentagon wall was only 65 feet wide. These dimensions do not remotely correspond, making it a physical impossibility for a Boeing 757 to have been the aircraft that crashed into the Pentagon. National Geographic attempted to explain the discrepancy using a computer simulation showing the aircraft's wings breaking off before slamming into the building. This does not explain why, then, the wings weren't found on the lawn outside the Pentagon where the plane hit. There are several versions of events of the attack on the Pentagon that demand to be sorted out. Pilots and engineers affirm that it is aerodynamically impossible for a plane the size of a Boeing 757 to have made the necessary 270-degree turn into the Pentagon while maintaining flight speed and a distance of less than 20 feet from the ground before crashing into the building. Witnesses on the ground reported seeing a much smaller aircraft - possibly even a Global Hawk drone - flying into the Pentagon on 9/11, but certainly not a passenger airliner the size of a Boeing 757. A drone is a plausible explanation for the precision with which the plane hit the Pentagon, the lack of wreckage found at the site, and the smaller hole made in the Pentagon wall. Every single defense protocol - including the Pentagon's own missile-defense system - that would normally have been deployed in a hijacking scenario (let alone the invasion of airspace around the building) failed on 9/11. The magnitude of this failure undermines the defense department to its core, yet this astonishing breach is all but ignored by the media cartel. NORAD failed to intercept the planes after it was notified of the hijackings. But prior to 9/11, NORAD had completed 67 successful interceptions, so clearly it had the proper training for such crises. Air controllers along the flight paths of all four planes reported the hijackings, requesting military response to no avail. There was mass confusion about where planes were and weren't, evidenced by the recorded tapes of numerous air-control calls and conversations that day. Military response was sluggish because all bases had new orders to stand down relative to hijackings unless approval came directly from the Pentagon, specifically Secretary of Defense Donald Rumsfeld, who could not be located the morning of 9/11. Coincidentally, three months before 9/11, the standard protocol for immediate military intervention in the event of a hijacking was replaced with a protocol that required permission from the Pentagon before taking any action. This short-lived protocol was reversed following 9/11. Interestingly, Rumsfeld was photographed carrying debris from the crash site at the Pentagon later that day. No bodies or wreckage were found at the Pennsylvania crash site, just a barren hole in the ground. Yet a driver's license belonging to a flight attendant and a passport belonging to a hijacker were found near the site. The official story is that the plane disintegrated with all its occupants. The cell-phone calls claimed to have been made from Flight 93 at 30,000 feet in the air prior to the crash were not possible because in 2001, the technology for such calls was not available. A third building collapsed around 5 p.m. on 9/11. Seven World Trade Center, previously known as the Solomon Brothers Building but now more commonly referred to as WTC7, collapsed in exactly the same manner as the towers - straight-down free-fall as in a planned demolition. But no plane crashed into it. WTC7 housed offices for the Secret Service, CIA, Department of Defense, IRS Regional Council, Federal Home Loan Bank, Securities & Exchange Commission, ITT Hartford Insurance Corporation, Standard Center Bank, American Express Bank International, Solomon Smith Barney, NAIC Securities, and Providence Financial Management. No skyscraper made of steel had ever collapsed due to fire before the World Trade Center towers. Nor has any steel building been destroyed by fire since. Yet less than 30 minutes after the towers' collapse, the media cartel reported that the fire fed by the jet fuel "brought the buildings down." Those same reports just as quickly credited Osama bin Laden with the heinous crimes. Later, miraculously, a passport of one of the hijackers was found that had survived the inferno that brought down not one but two reinforced steel structures - confirming that al-Qaeda was behind the terrorist attacks. It begs the question why bin Laden was never charged with any crime associated with 9/11. Larry Silverstein exercised a $3.4-billion lease for the World Trade Center six weeks before 9/11. He negotiated his insurance coverage on the towers to include any damage from terrorist attacks. He was awarded $7 billion when the dust settled. On September 10, 2001, Rumsfeld held a press conference to notify the public that the Pentagon "could not track $2.3 trillion in transactions." This missing money was never mentioned again after the events of 9/11. 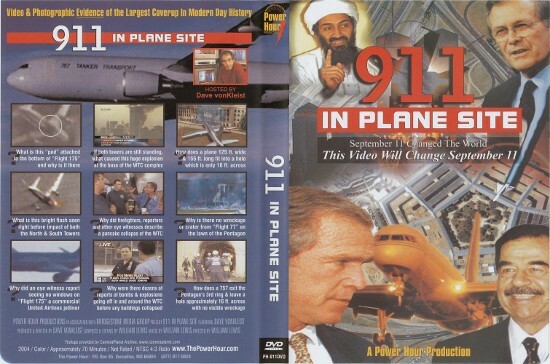 The documentaries and videos listed below are but a few of the vast inventory on 9/11 and are well-sourced for conducting your own research to verify the massive amount of forensic evidence compiled over the past decade.